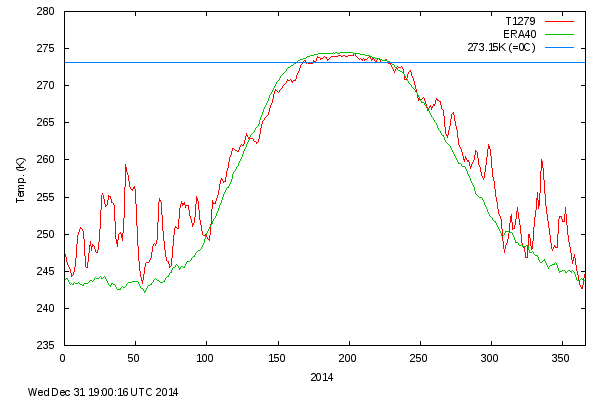 The long-term trend is, however, still downwards, the Cryosat team cautions. 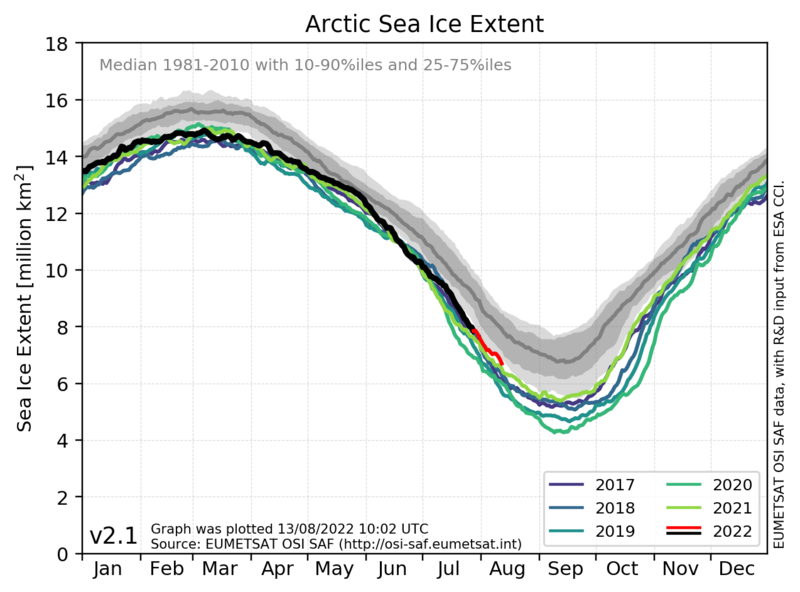 “Year to year, the numbers will jump about, and it just so happens that we’ve seen relatively high levels of Arctic sea ice thickness and volume in recent years,” said Rachel Tilling from the UK’s Nerc Centre for Polar Observation and Modelling (CPOM). The maximum extent of winter sea ice this year was called for 25 February at some 14.54 million sq km. That is the smallest winter maximum in the satellite record. It is, though, a two-dimensional view of the Arctic, and just considering extent can hide the fact that winds will sometimes spread out the floes and sometimes pile them up. Of course whether the long-term trend is ‘downwards’ largely depends on the start date of the period being measured. Start high and there’s a very good chance of a downward trend somewhere along the line. 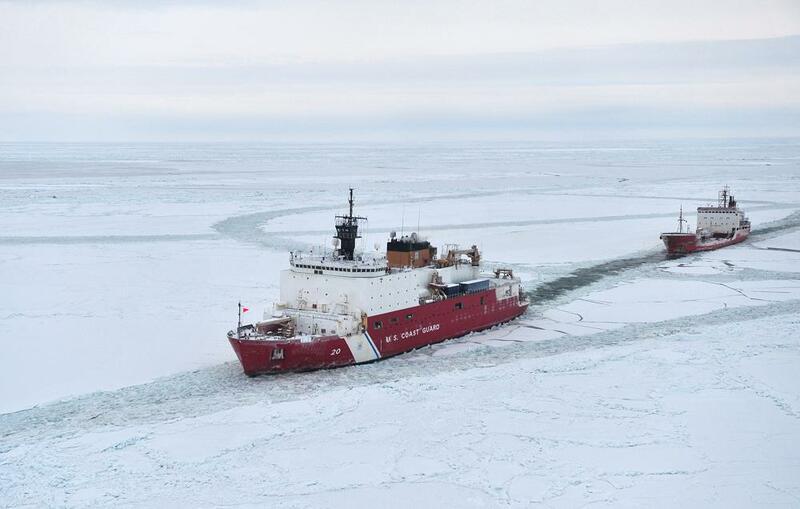 Ron Clutz has alerted us to his new post discussing ways shipping could affect Arctic sea ice, specifically in areas where there’s more human activity than there used to be. Thanks Paul. 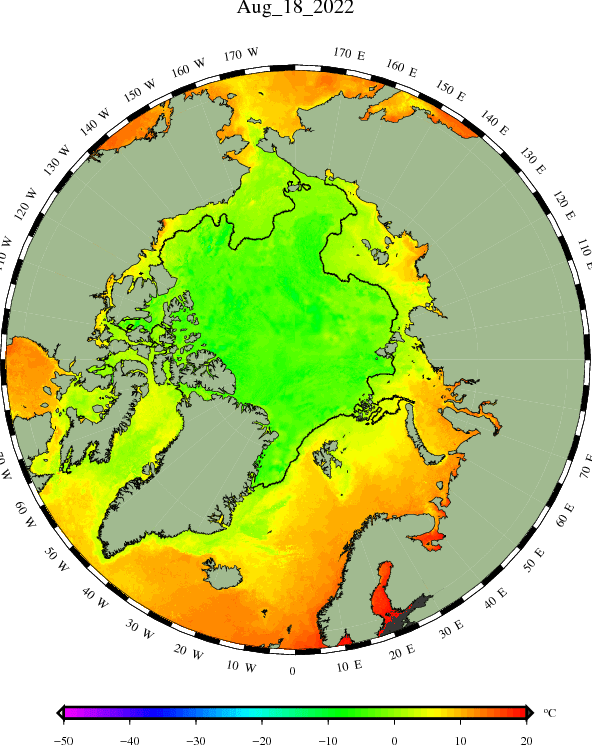 Your post says ‘Most of the shortfall against the 1981-2010 average is in the Sea of Okhotsk, which is utterly irrelevant as it always melts quickly anyway’. The Sea of Okhotsk is one of the two areas Ron Clutz is talking about in his post (see comment above). I have to say… It can Warm up dramatically AT NIGHT in the middle of WInter here in N Scotland. – SUnshine ? Evan H: ice cover doesn’t tell you how much ice volume there is. Ice three feet thick or three inches thick could look the same from a distance. A lot of thin ice could in some cases have less volume than ‘not so much’ thick ice in the same area of sea. On http://www.ocean-climate-law.com/13/Arch/5.html, Heraclitus (535 BC – 475 BC) famously said, “No man ever steps in the same river twice.” The same can be said for anyone sailing in these seas. Total sea ice extent on the northern hemisphere during the past years, including climate mean; plus/minus 1 standard deviation. 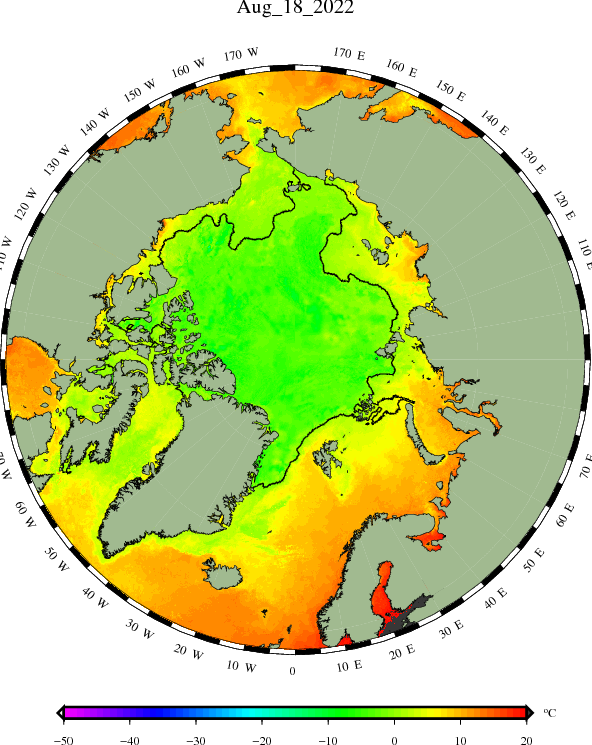 The ice extent values are calculated from the ice type data from the Ocean and Sea Ice, Satellite Application Facility (OSISAF), where areas with ice concentration higher than 15% are classified as ice. SST analysis from satellite observations. AMO index reached a maximum. Don’t be misled by ice extent graphs: it’s the ice volume that counts. 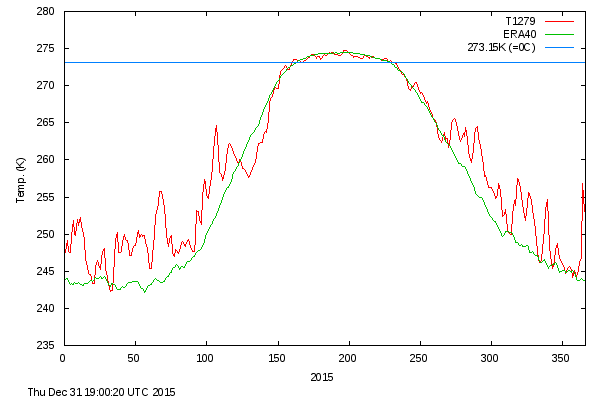 The data show that the trend has reversed, and the volume and extent of the ice will grow. I think at least 30 years of age. Guys, N Pole ice reduction interpolates into S pole ice increase, and vies-versa. Any anomaly to this conclusion is displayed as a change in sea level height. Sea level height is currently ~unchanging for tidal displacements, so, why worry about Earth coming out from a ‘cooler’ scenario. Yes, a lesser ‘ice extent’ promotes cooling, but ‘ice volume’ promotes ‘stability’ by way of ‘phase change’. Not to get in conflict with Roger or Oldbrew about celestial mechanics. Solar electromagnetic flux to earth and the Earth. atmospheric electromagnetic flux to space seems to quickly determine the current temperature of every location within or near this planet. I know that your thinking is nearly orthogonal to mine! I politely request some help. My POV is that atmospheric WV dominates all temperatures everywhere . However local or regional wind speed dominates the production of free atmospheric WV with its latent heat. Simultaneously the generation of sensible heat from condensation of WV dominates wind mass flow at every location. From the ‘ozonosphere’ (an altitude in the strat) upwards, yes. However, below this altitude, ‘convection rules’ (with a small ‘dead space’ between). I assume you forgot to ‘capitalise’ the “a” for “atmospheric” in your dialogue. Well, I’m well accustomed to ‘lateral thinking’, but I’ll be happy to help if I can. This doesn’t coincide with your view that; “Solar electromagnetic flux to earth and the Earth. atmospheric electromagnetic flux to space seems to quickly determine the current temperature of every location within or near this planet.”, so I respectfully suggest that you try to understand the physics of Earth’s systems in ways ‘other than’ ‘radiative’. Convection rules in the tropo! Perhaps I can help you with this? “This doesn’t coincide with your view that; “Solar electromagnetic flux to earth and the Earth. atmospheric electromagnetic flux to space seems to quickly determine the current temperature of every location within or near this planet.”, so I respectfully suggest that you try to understand the physics of Earth’s systems in ways ‘other than’ ‘radiative’. Convection rules in the tropo! I try to understand the physics of Earth’s systems in ways ‘other than’ ‘radiative’. However, I are an ex sparky that has measured atmospheric thermal electro-optical effects for over 35 years. I am now convinced that meteorological or climate sciences refuse to acknowledge the actual extent of electromagnetic flux, generation and transmission within the troposphere.. I need an orthogal POV that can try to understand that my two statements in (parens) coincide. They depend on each other. The key word is “quickly”. and I treat any EMR from the planet surface itself to be of trivial import. From what I can make from the few Solar eclipses with viable data. The whole tropospheric column rethermalizes with a time constant of approximately 6 minutes. If this were do to whole air convection it would require sustained vertical wind-speeds of over 30 m/s. My conclusion is that either much more Solar radiant flux is absorbed in the troposphere than is indicated anywhere, or WV molecules themselves, with no other mass can advect through the more dense gases in order to relocate at a nearly saturation temperature and proceed to a airborne condensate, at whatever rate is allowed via conversion of latent heat to electromagnetic radiative flux to space. Don’t ‘take the piss’ Will. You’re better than that! This needs clarification, but I concur with reservation. “My POV is that atmospheric WV dominates all temperatures everywhere . However local or regional wind speed dominates the production of free atmospheric WV with its latent heat. Simultaneously the generation of sensible heat from condensation of WV dominates wind mass flow at every location.”)”. If so, I concur with reservation upon local ‘normal’ humidity and temperature for the region. There’s also the issue of planetary rotation. Please remember that I’m a retired universal millwright and can only competently comment upon applied science Will. This time-scale is acceptable in a scenario where the energy source is cut. I assume you intended to post “If this were due to whole air convection”, but this doesn’t matter. EM activity within the tropo ‘reduces’ the convective activity within the tropo. They are ‘mutual attractors’ that vie for energy. I’m unsure of your intimation here Will. Please elucidate. Your graphic shows a lead/lag between systems and the time-stamp seems to ‘obviate’ the ‘lag’! It may improve our understanding if we investigate this graphic. I’d be very wary of declaring a change in air temperature like that. Measuring the temperature of “air” is very difficult. You cannot use a thermometer or have any thermal mass involved. I hazard a guess the air temperature changes insignificantly, objects are a different matter. Are there figures on the transient response of the air temperature measurement system? Indirect effects might give a clue. A sudden gas temperature change will produce a pressure change. Anyway, try a mountain. Seems warm in the sun. Step into shade, brrr. In shade wind from in sunshine is just as cold. Global sea ice trend looking very average lately. No Sign Of Warming: Global Sea Ice Well Below Normal Only 4 Of Last 36 Years…Normal Over Last 2.5 Years! I am not proud of my stumblings in this field. That took much Geld to educate (the only way,hard) of such as I. With no proudness, I hope someday, I am able to pass on to others my limited understanding of the understandable. I also try to understand my definite bias toward “all is electromagnetic”!!! I will try to clarify, as I do to myself, slowly, I need the orthogonal that can remark “that is BS and here is why”. 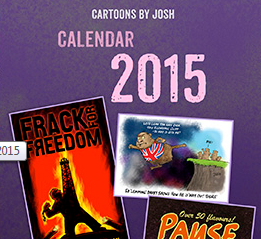 The idea is to get around BS rather than promote such! OOOH, an experienced millwright, the only, that can now construct or repair whatever is required! With hands clamped behind back, can I look in your toolbox, and drool? I do not understand! Please clarify your interpretation ? The two that I see are complementary, never in opposition. In this atmosphere, sensible heat is a minor player. This atmosphere has gobs of what I call water condensate! Not Bose Einstein condensate, but similar. The condensate is an a dynamic amorphic structure, never gas, liquid, or solid. How much latent heat do your damn condensate have? The actual process is never static, but cyclic, at many frequencies. Cycles per megayear! “Your graphic shows a lead/lag between systems and the time-stamp seems to ‘obviate’ the ‘lag’! turns up in a decade or so. “I’d be very wary of declaring a change in air temperature like that. Bad to call this “air temperature” or “sand temperature”! How about time series measurements of one photometer and two thermistors, one 1 cm in the sand. another supported 30 cm above the sand. over a 3 hour interval of total Solar eclipse, centered at noon:32 local, at this location, in the dessert of Tunisia, on this date. I see no adjusting of the measurements>/b>! Good. I’ve found my way back here! Your use of “I” in the second instance of your post is uncommon to ‘native English speaker’s’. Your phrase of “of such as I” would be better phrased as ‘for such as myself’ (I’m only trying to help you here). However, your intent seems ‘noble’, but may not be received in the way that you may expect. There are intellects that can’t understand the ‘chemical mechanics’ of atmospheric interactions, let alone any ‘ionic’ interactions. Your humble beginnings are well noted by me and admired. 🙂 Not unlike myself. I like your ‘precursor’ of “”all is electromagnetic””! Without ‘movement’ all is ‘electrostatic’, but ‘movement’ in an ‘electrostatic medium’ generates a ‘magnetic effect’! This ‘magnetic effect’ alters the the behaviour of ‘electrostatic components’ within a ‘magnetic field’. Thus, any kinetic within an electrostatic field causes/generates an electromagnetic influence. I’ll come back to this later, you have many issues that need to be addressed. Let’s take a step back Will. Why would you come to this conclusion? The graphic you supply (without provenance) can only disclose the percentile of obscuration against the temperature of ‘sand’ (at undisclosed depth) and ‘air at 30cm above surface’ (the bottom of a convection plume at best), all measured along a ‘time line’ (that, for my part, is presumed to be accurate for ‘lead/lag’ purposes). If you want to better understand ‘convection cells’, I’ve a small experiment you ‘can/could/may want to’ undertake. A property of vegetable oil is that its viscosity alters greatly with temperature. Another property is that a viscosity difference in vegetable oil ‘lenses’ vis spectra, thus, visually discloses temperature difference within the medium of ‘vegetable oil’. For the experiment, take a saucepan with a couple of inches of vegetable oil at ambient temperature. Heat it from below by putting it on your stove at a low heat and note the ‘visible thermal plumes’ that you see. Let the experiment ‘cool’ to ambient again, then heat it again at ‘high heat’ and note the ‘visible thermal plumes’ that you see. My guess/presumption is that you see more ‘plumes’ at ‘high heat’ than you see at ‘low heat’. This is because the ‘viscosity’ of the energy transport medium limits the rate of ‘convection’. Thus, more ‘convection cells’ and not ‘faster convection’! Will, we’re getting way OT here. If you want to go elsewhere just name the place! Yes indeed the electromotive and the magnetomotive forces are very local and deterministic. The cyclic electromagnetic power flux transport is the most relativistic phenomena ever measured by earthlings. Such not need ever bow to earthling mechanistics or thermodynamics, but politely dose so as a visitor. I agree. The atmosphere with low thermal mass reacts quickly to changes,in/out energy. The sand with much more thermal mass takes forever. Plots at higher altitudes show similar result, except at 1-3 km where the slowdown indicates high WV thermal mass, or the actual conversion of latent heat to sensible heat. Where is your convection (mass flow) involved? “Will, we’re getting way OT here. If you want to go elsewhere just name the place! From the world average annual precipitation of 91cm/yr, we calculate a daily “surface to air” evaporation/condensation to precipitation of 2.8mm of water for a continuous EMR exit flux of 80 W/m^2. This is one major way of discarding waste energy to space after interesting weather. I think that the value of pressure in kPa is always equal to the mass of some g/cm^2 column air above. But there is more, the average column water in the atmosphere is 2.4cm 24mm. This much H2O would require above a 30 degree Celsius atmospheric temperature to remain as a “mono-trimer” WV gas! This corresponds to 2.4% by mass, or 4% by volume of gaseous H2O. The atmospheric temperature is always somewhere above this temperature (sunside, tropics) and somewhere else well below this temperature (darkside, high latitude).. This suggests an additional gas/condensate exchange of latent heat totally within the atmosphere, and continuously lateral from sunside evaporation to darkside creation of airborne H2O condensate. How much of this airborne condensate can be supported by the buoyancy and viscosity of this atmosphere, I am not even qualified to guess,but I will anyhow! 6mm column water, cycling from liquid to condensate would supply all of the additional radiative exitance to space. 9mm would cover the albedo nonsense. Will, it would seem that the establishment have given a thread to the subject of ‘convection’. I’d rather comment on your queries there than here, but I’ve something more to add whilst this thread is compromised. I don’t see any data for “Plots at higher altitudes”, but at this altitude you’re at/near the ‘top end’ of convection where ‘it’ (convection) begins to slow down. I concur! The ‘latent quality’ of the ‘product’ (rising atmosphere) exhibits the ‘thermal capacity’ behaviour of a ‘greater mass’ than exists there. AFAIK this is a problem for ‘modellers’ that try to emulate Earth’s atmosphere in the tropo. As for “convection (mass flow)”. It ‘originates’ at ‘land surface’ for mostly temperature mediation, and ‘ocean surface’ for WV mediation, with biasing due to latitude for both ‘insolation rate’ and Earth rotation. In an attempt to get this thread back to its origional OP. ‘Insolation’ (INcomming SOLar radiATION) is most effective at ‘azimuth’ (directly overhead). Because Earth’s rotational axis isn’t at a ‘right angle’ to its orbit around ‘Sol’ (the Sun), the ‘angle of incidence’ (the angle that radiation strikes the Earth) isn’t a constant. It results in varying degrees known at ‘seasons’. However, ‘seasons’ don’t fully qualify these ‘insolation changes’ over a greater timescale. There are periods when the orbital mechanics of Earth’s orbit takes our planet ‘above’, or ‘below’ the ‘central orbital’ state.